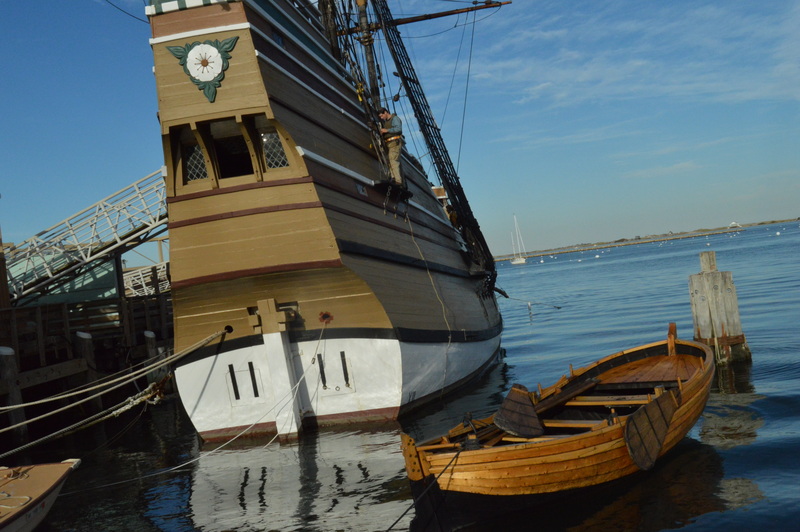 After visiting Plimoth Plantation, the next obvious destination was the Mayflower II. 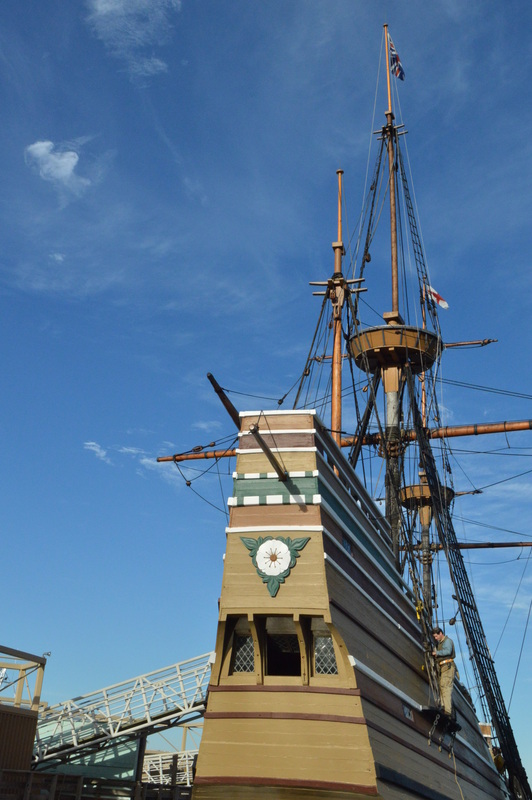 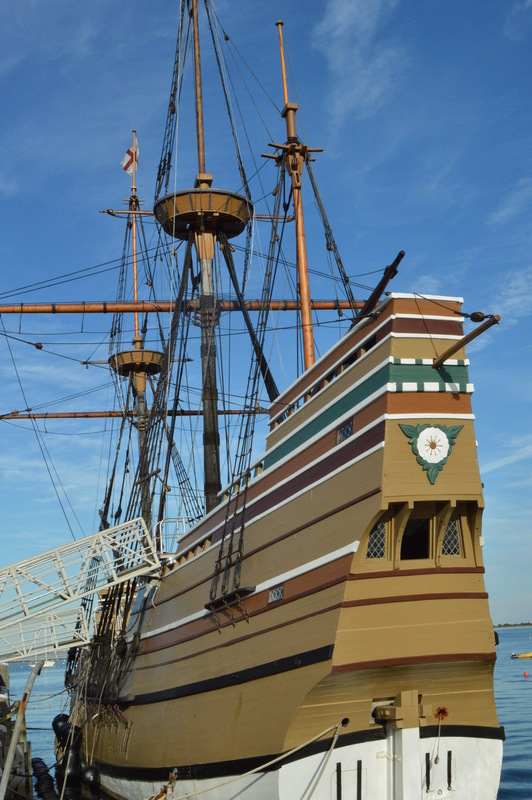 The Mayflower II, an exhibit of the Plimoth Plantation, is a replica of the original Mayflower. 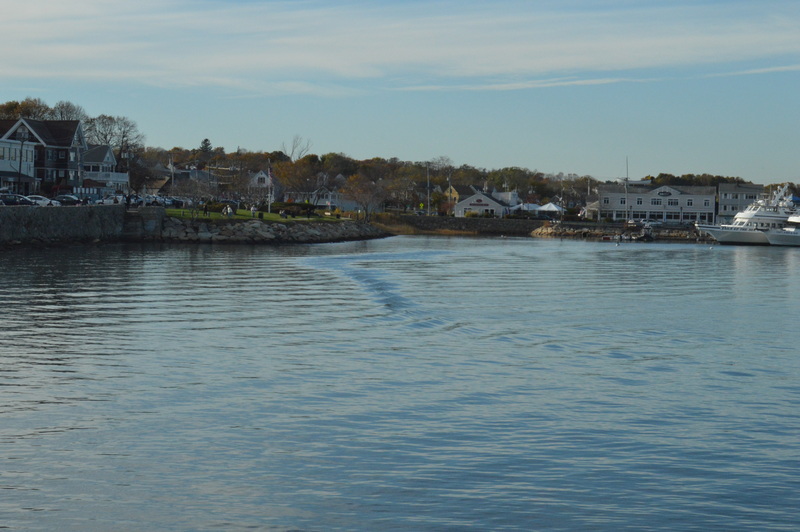 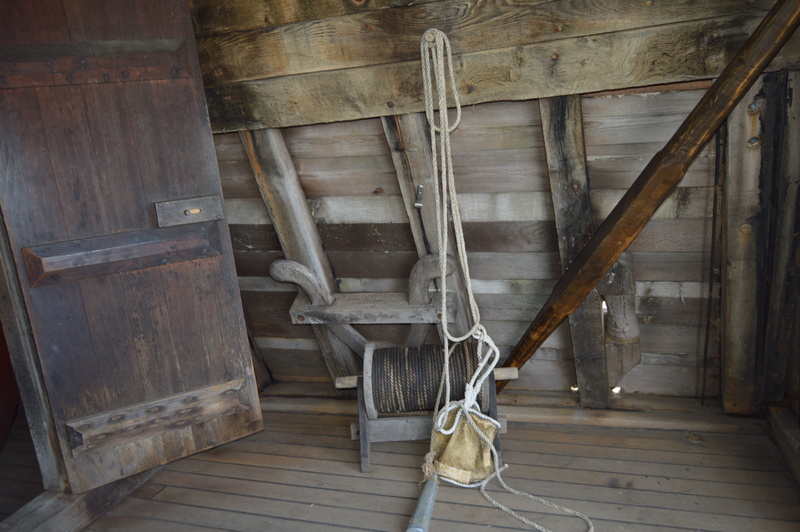 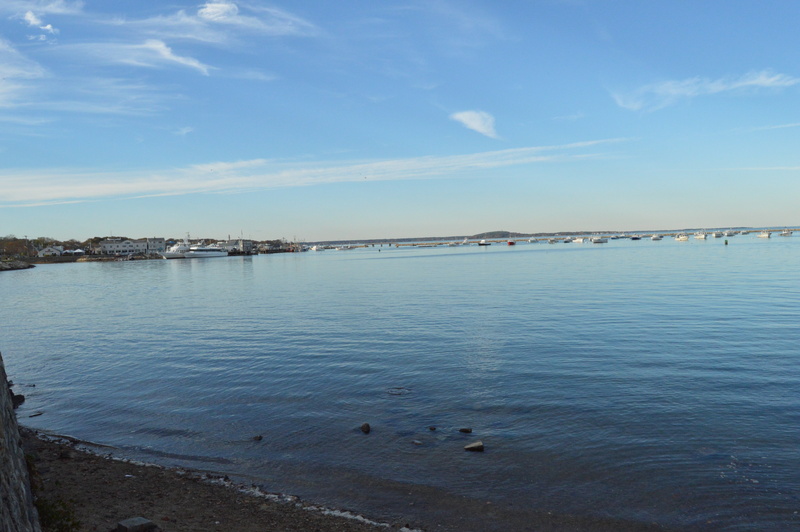 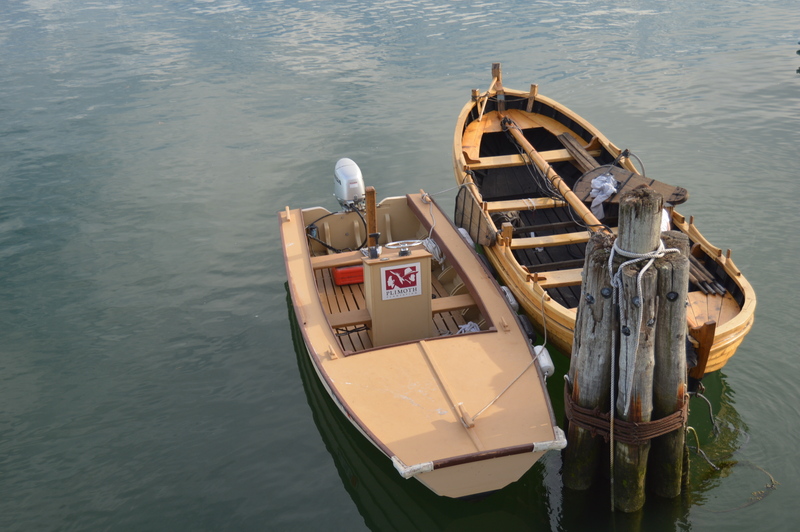 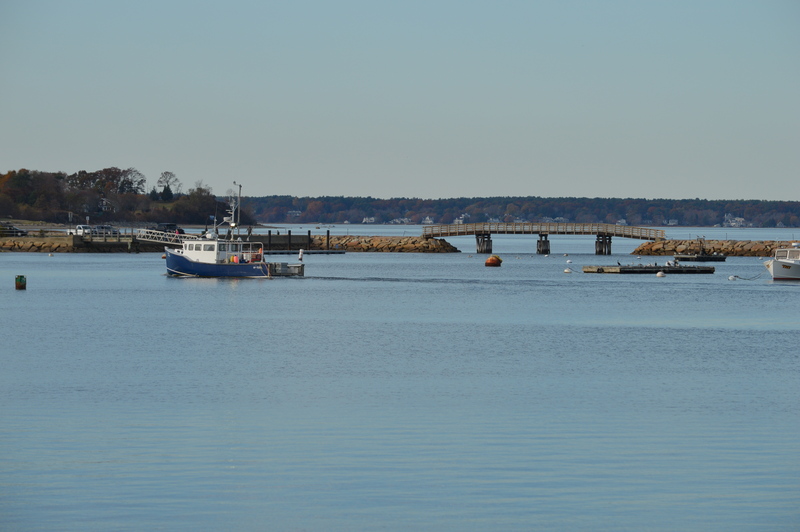 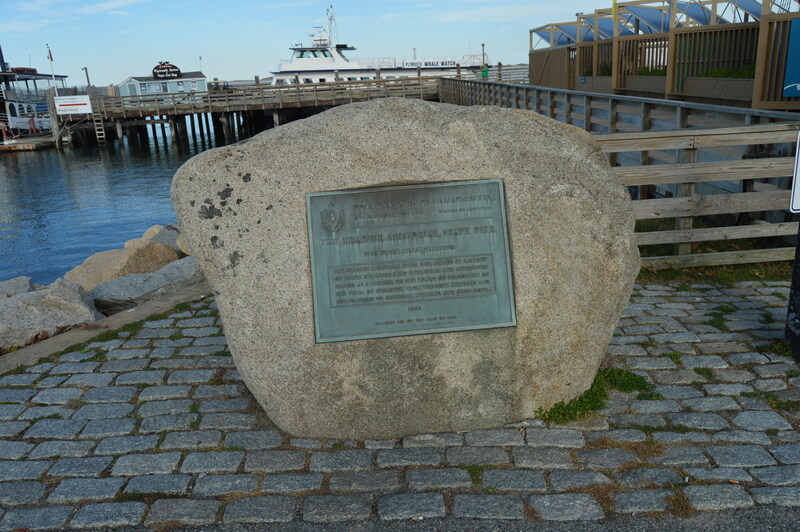 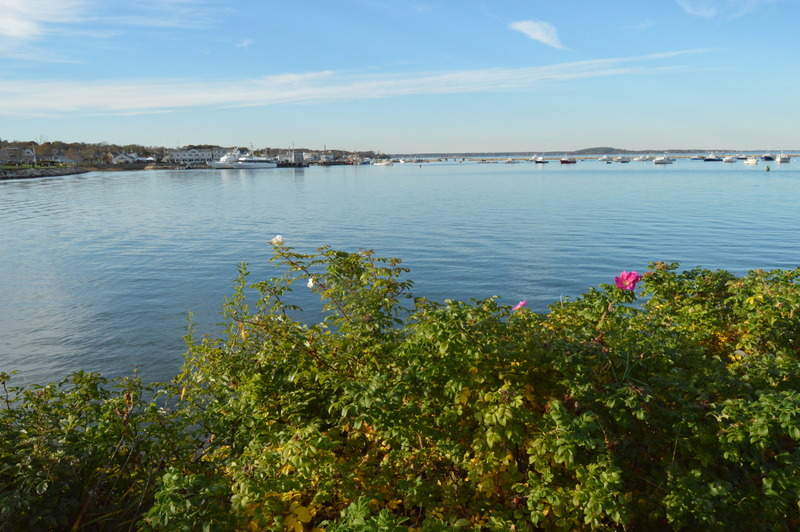 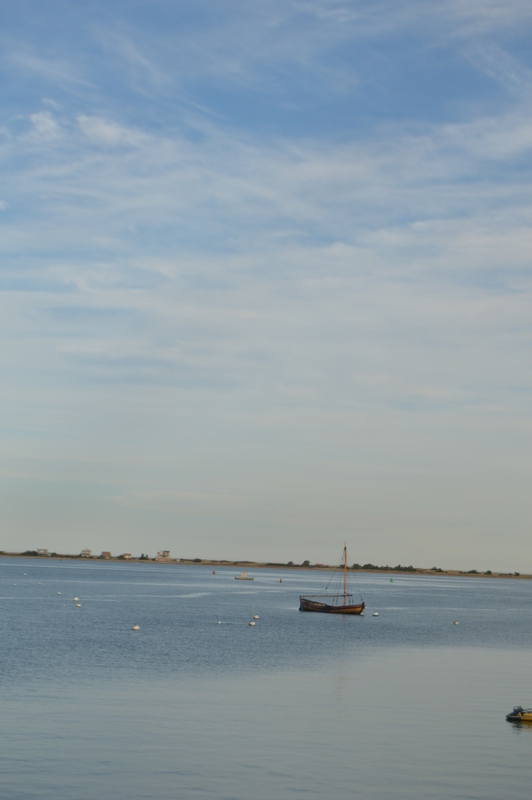 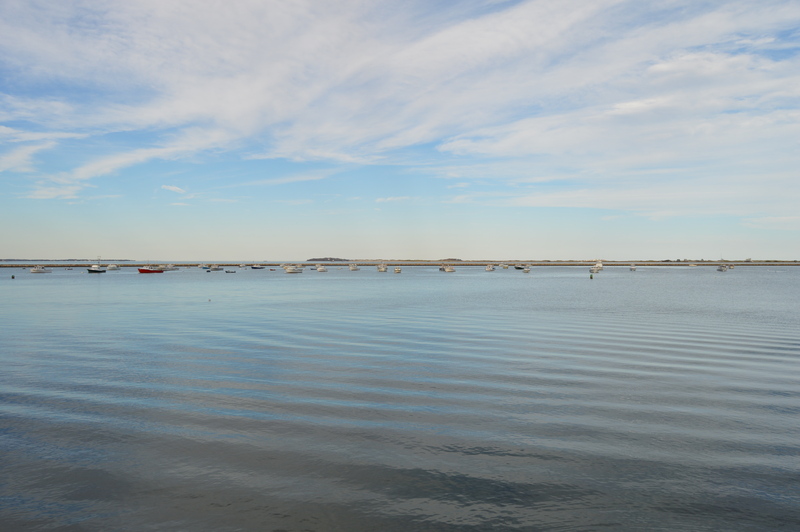 It is located only a few miles from Plimoth Plantation in the Frazier Memorial State Pier. 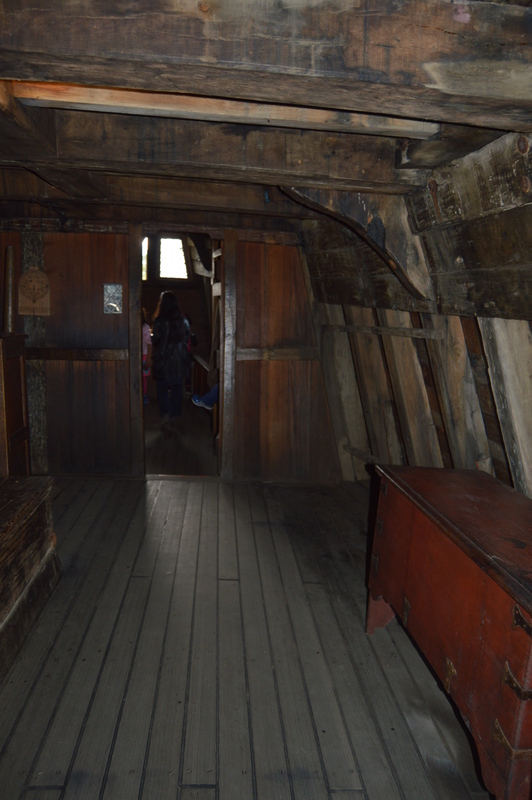 Before you board the boat, you are informed the people on the boat are still living in the 17th century. 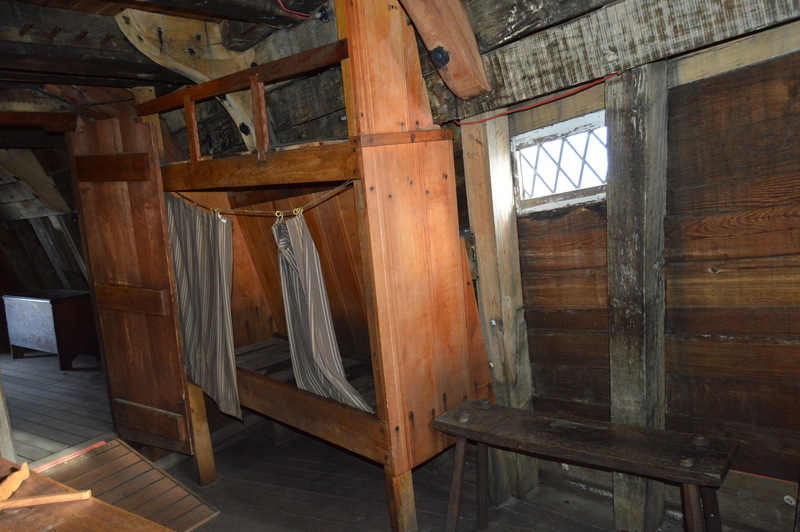 They are not aware of cellphones, automobiles or any other modern day comforts. 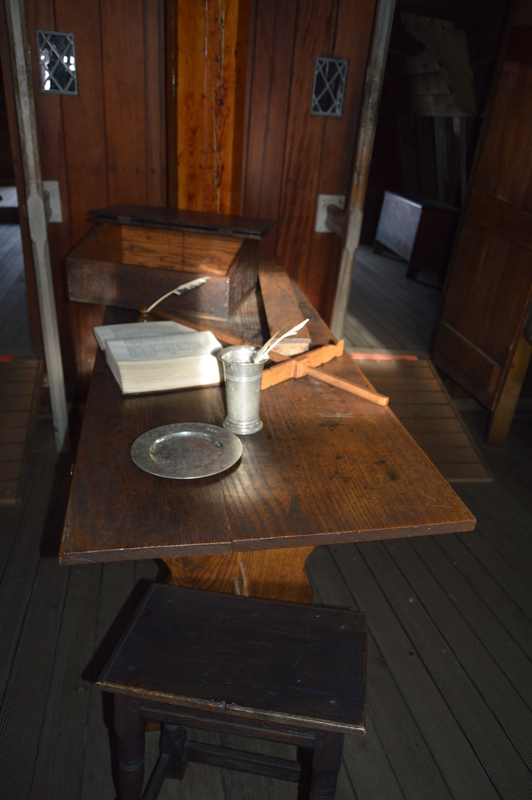 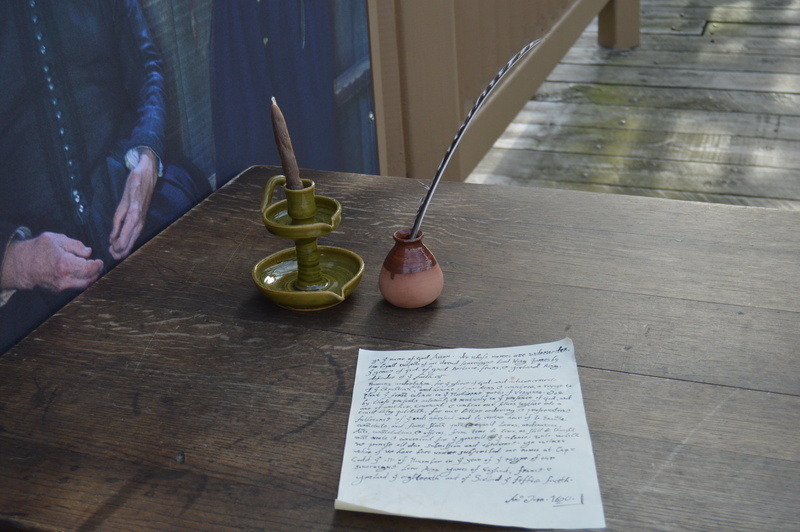 There is a replica of the Mayflower Compact in the entrance to the boarding area. 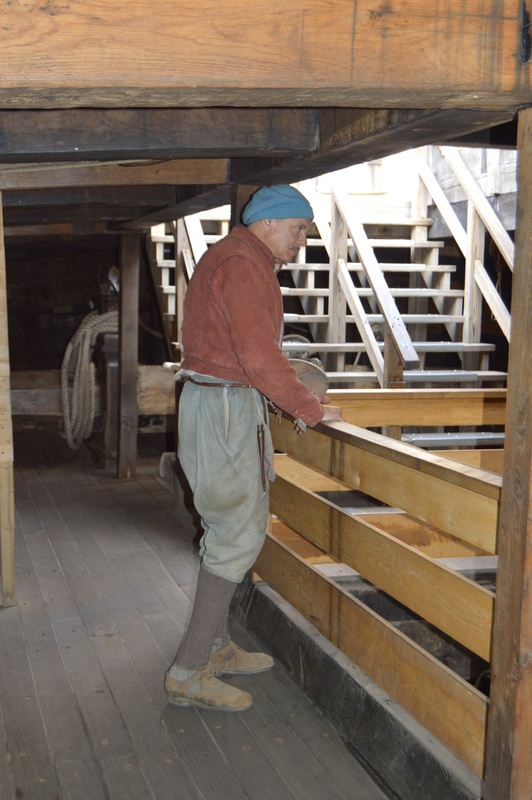 Actors on the boat discuss the duties of crew members and portray people from that era. 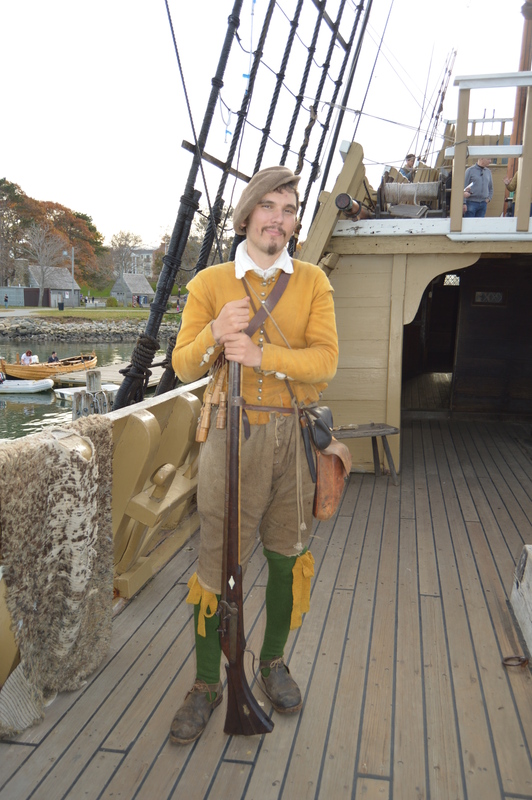 This man reminded me of James Franco, particularly because of his dry sense of humor. 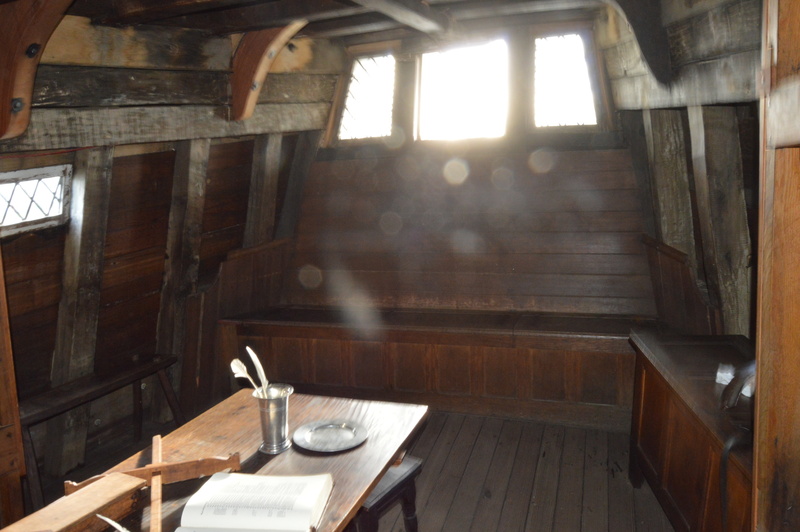 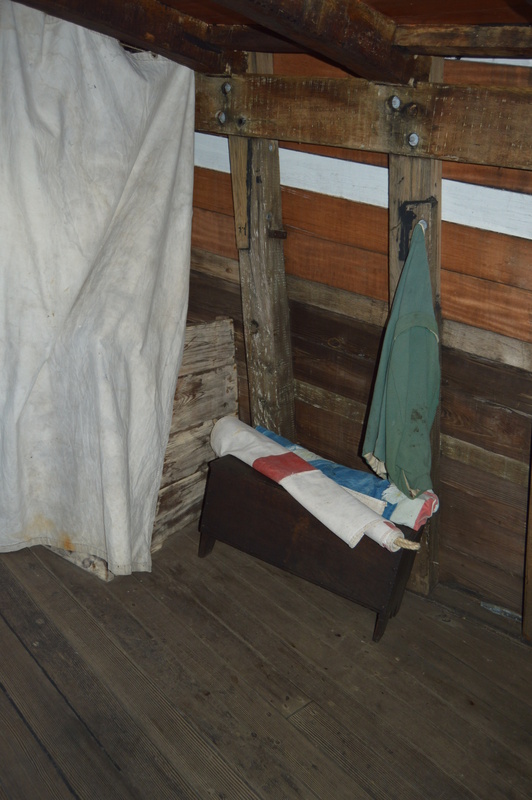 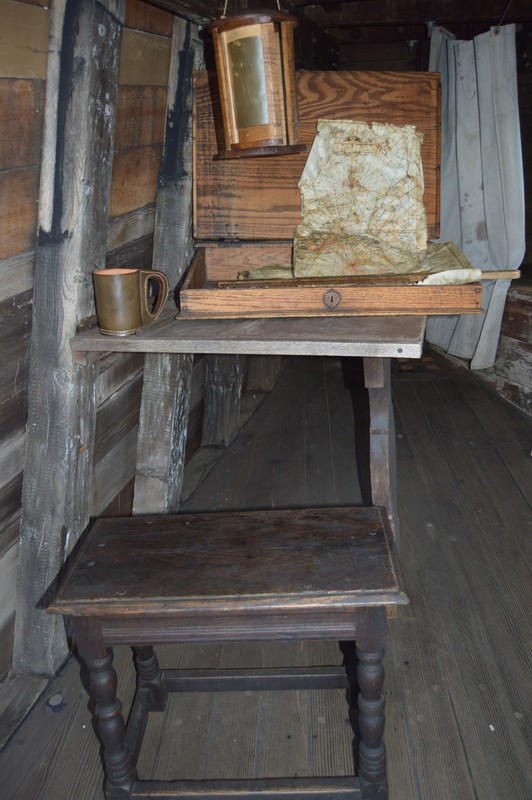 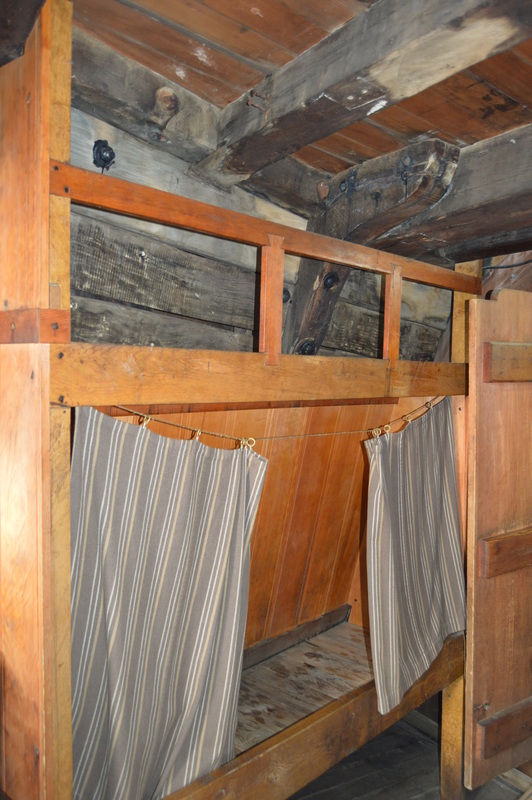 The quarters of the Mayflower were not the most comfortable. 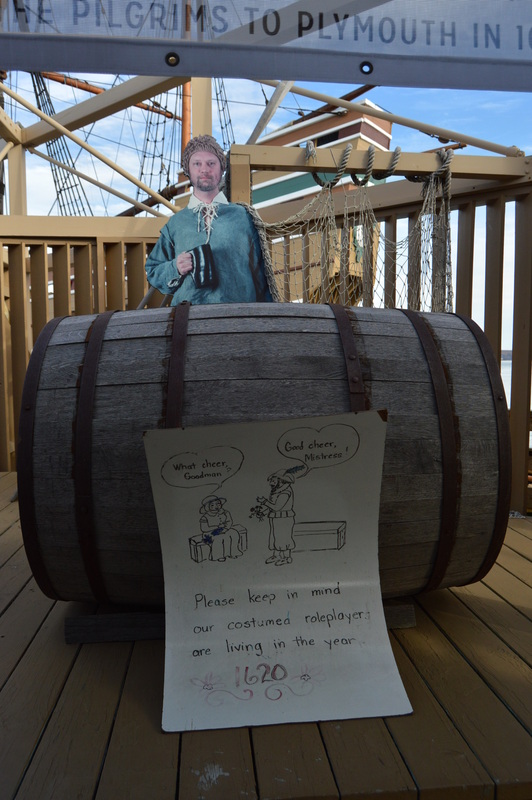 Not exactly Carnival Cruise. 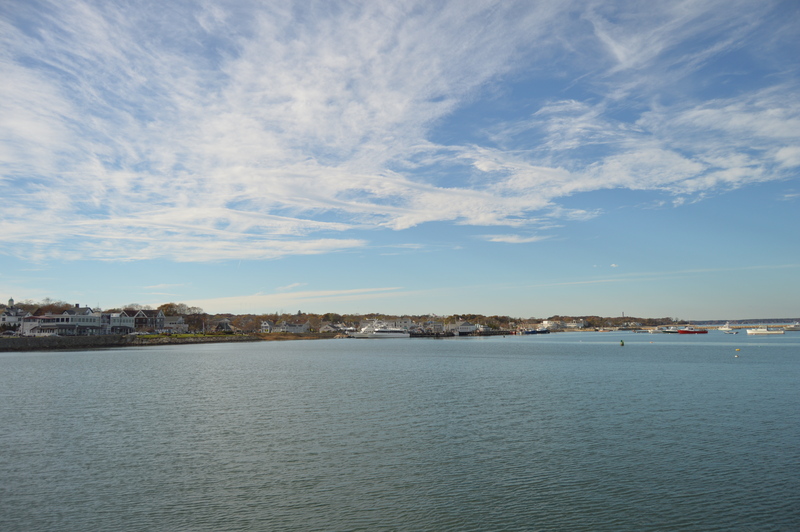 The views from the harbor were very pretty. 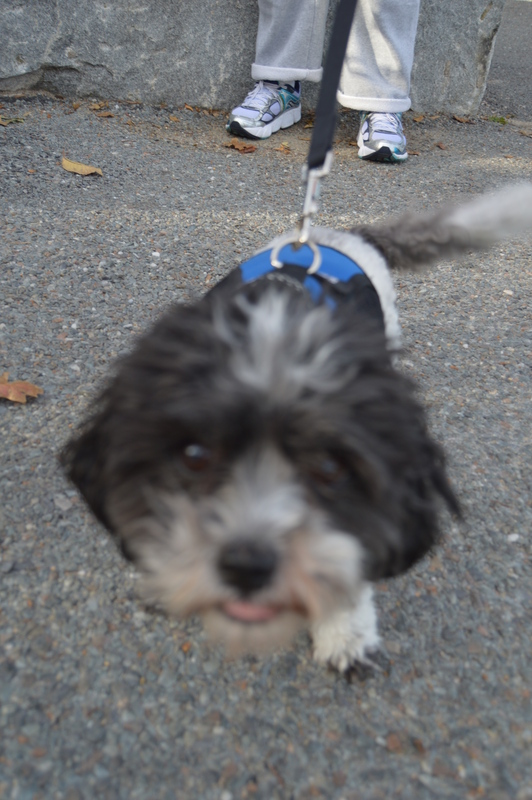 Meet Porsche, a service dog I saw as I was leaving the pier.